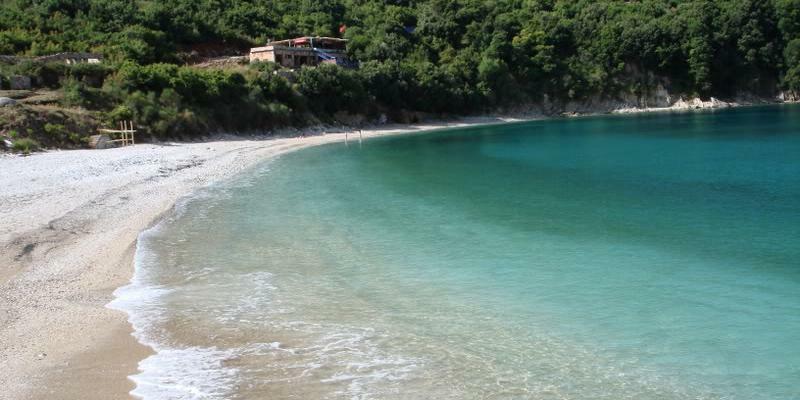 Albania has a beautiful coastline that has up until now failed to attract much in the way of tourism. That is set to change with ambitious plans revealed recently by the country's National Coastal Agency (NCA) to turn the former military base on Sazan Island into an attraction for visitors. Located on the Strait of Otranto, where the Adriatic and Ionian seas meet, the military installation is still technically in operation, manned by two sailors - not the more than 3,000 who maintained it in the Cold War with supplies and ammunition ready to withstand a six-month siege. Teeming with rare birds and other wildlife, the island's dilapidated structures still house beds, kitchen equipment, school benches and tables. The luxury villa of communist defence minster Beqir Balluku, who was executed as a traitor by Communist dictator Enver Hoxha in 1974, also still stands. Under Hoxha, Albania built more than 700,000 bunkers, such was the fear of NATO attack he cultivated. Many still stand, as the cost of removing them all is prohibitive. Sazan alone has with 3,600 bunkers, despite only measuring two miles square. Much of the military equipment was looted in 1997, when following the collapse of a giant nationwide pyramid investment scheme, widespread rioting occurred. 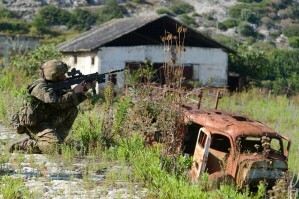 More recently, British Royal Marines Commandos have participated in the destruction of several buildings there as part of a training exercise. Now tourist bosses hope Western Europeans will come to the country, both to see Sazan but also to enjoy Albania's numerous beautiful beaches and pristine mountains and to understand a country with a colourful history. Tourism currently accounts for 4.8 per cent of Albania's GDP and Tirana, the capital city, is keen to increase this. As a first step, a group of Western tourist "ambassadors" are being invited to Sazan, which has warm water beaches and splendid rocky views. "What once was an isolated, unreached spot, a mystery to almost all Albanians but a few then-communist leaders, may now turn into an attractive place, especially for foreign tourists," Auron Tare, of the NCA, told media. Tare has other plans for Sazan, including the use of its extensive underground nuclear fall-out shelters as wine cellars. Sazan is reached by boat from from Vlora, which takes around 30 minutes, and a daily ferry service is scheduled to begin in June this year.